Meet CJ, the German shorthaired pointer who has come to steal your girl. 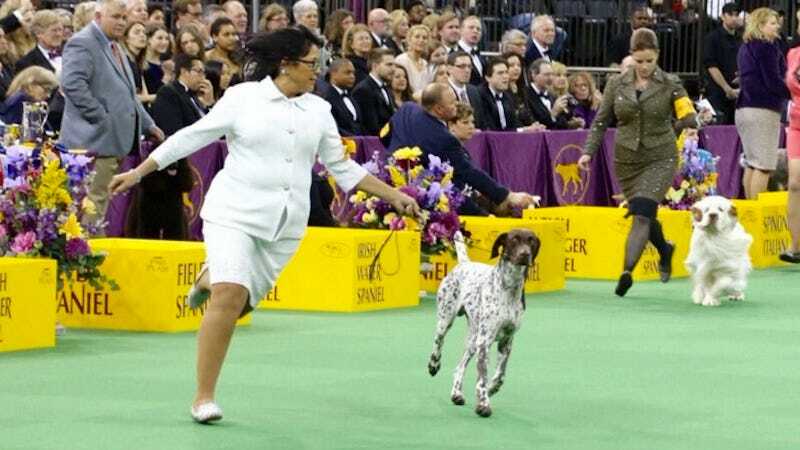 Best in Show winner of the 2016 Westminster Dog Show, CJ’s full name is “GCH Vjk-Myst Garbonita’s California Journey” a series of words that affords me a terrifying glimpse into a world I cannot hope to comprehend. Dog pretty. Me pet dog. Yeah, that’s more my league. Image via Westminster Dog Show.